Filta Environmental Kitchen Solutions, the company that invented Fryer Management provides service to commercial kitchens across the United States and around the world announces innovative staffing support to their franchise network of independent owner operators. While “hiring decisions” will continue to be the responsibility of each individual Filta Franchise Owner, as Recruiter, Capozzi will assist in placing advertisements, managing applicant flow through Symphony/TRS, pre-screening, setting interviews, and providing support to local Franchise Owners. 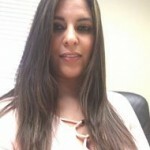 Stacy brings 10+ years as an experienced recruiter, staffing for a wide variety of positions. Her most recent tenure recruiting gave her unique insights staffing for positions and markets that closely translate to the Filta business.